Our Military carries heavy burdens of stress, sacrifice and time apart from their families. Post deployment Veterans spend months to years working to reintegrate back into their families and their communities. Veterans with PTSD and service-related disabilities are impacted for the rest of their lives. Thousands of families will forever grieve for loved ones killed in action. Rest and leisure are of undeniable importance to a person's health and welfare. Our Founding Fathers declared the pursuit of happiness to be an unalienable human right. 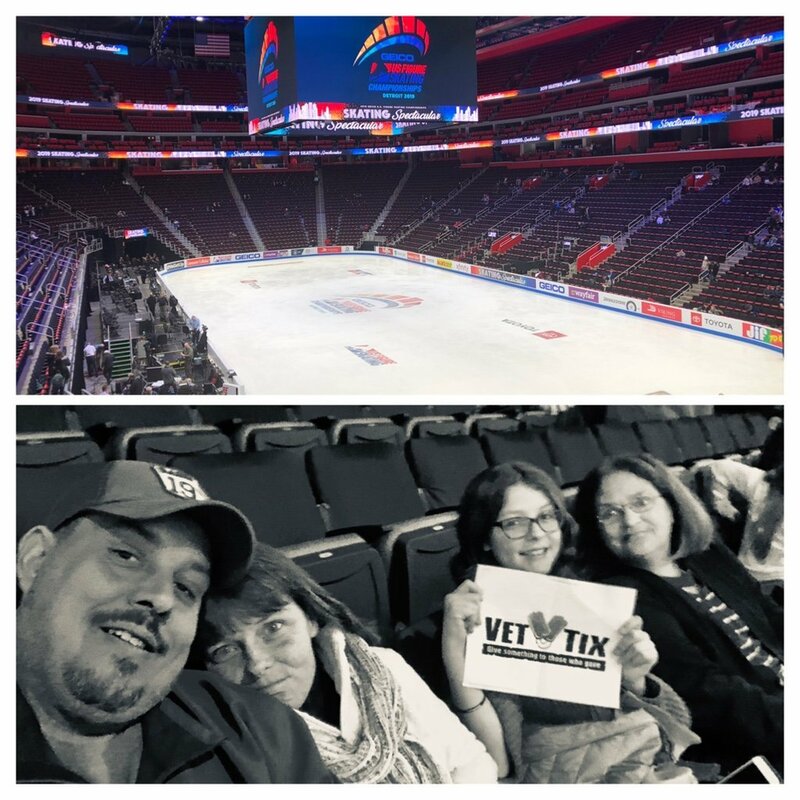 To enrich our Veterans' quality of life and to honor and recognize their service, Veteran Tickets Foundation provides free and discounted event tickets to currently-serving military, Veterans and their families, as well as immediate family of those killed in action. Through entertainment, shared interests and community activities Veterans can reduce feelings of stress, rekindle relationships and reconnect with their community. 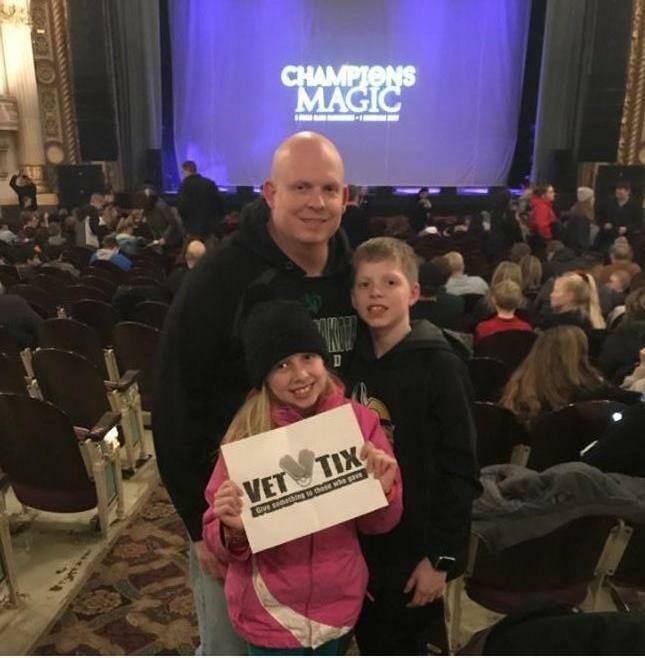 VetTixers choose events that interest them and their family, regardless of physical level or age. We hope to one day give every veteran a free event in honor of their service to their country. Deployed, wounded and families of those killed in action are shouldering the hardest burdens of military service. Their duty has impacted their lives in ways the rest of America can only imagine. To assist in reintegration and ease stress Vet Tix would like to give a once in a lifetime event to these Heroes. Hero’s Wish events create a wonderful time with their family that they can always remember to heal their spirit and bring them together as a family. For those who have suffered, we want to welcome them back and bring enjoyment back into their lives. Hero's Wish allows members who meet certain criteria to request specific tickets for any single event. VTF works to have donors fulfill that request either by ticket donation or by donating money to make the hero's wish come true. The Hero's Wish program can be used by Active Duty Military Personnel (one month prior to, while on leave from or one month after their deployments), severely wounded warriors and the families of men and woman killed in action (K.I.A.). Once again #Vettix has given me another opportunity to spend time with my family. My mother, wife, daughter and myself had a wonderful time. Thanks SOOO MUCH!!! Thanks again Vet Tix! You made our night. My kids and I really enjoyed the show. They said it was a 10 out of 10. Appreciate the generosity and support.